The best track of the album is the Robert Miles-ish Yaadein, rendered by KK. Being right down his alley, KK delivers it to perfection. More house music follows with Josh Josh, Sunidhi and Kunal Ganjawala doing their part well. Akriti Kakkar enters with Jashn Jashn, another techno-entrenched song. The song isn’t as impressive as the previous ones; I especially found the starting lines and the rap in the interlude annoying. The song scores mainly owing to Akriti’s superior singing. No such reprieve for Kunal Ganjawala’s Advocat De Satan however. The orchestral arrangement only succeeds in making the song a noisy affair. Monty Sharma however makes up for the track with Zindagi, a superb melody sung by Kunal and Shreya Ghoshal. The starting piano sequence is brilliant. Actually the sequence is so good that the rest of the song sounds slightly dull in comparison (only in comparison with that particular sequence mind you). Actually it would have been great if Monty had a full-fledged piano composition as a follow-up on that sequence alone. Nice parting shot this song nevertheless! 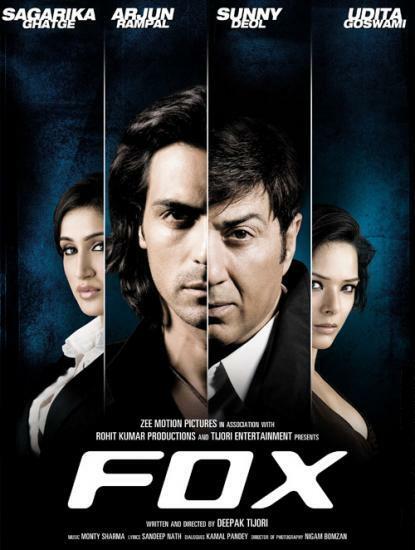 Monty Sharma has made a decent comeback in Fox, after a lacklustre performance in Chamku.